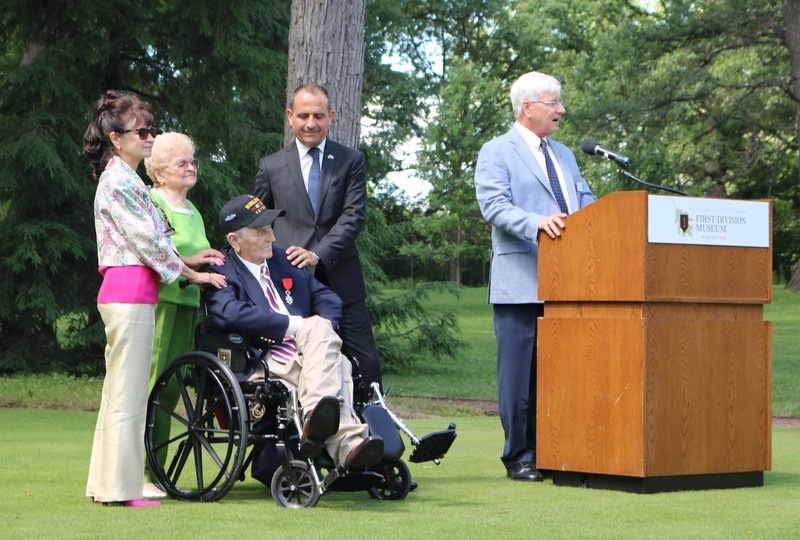 In July, John Chrenka (age 94), WWII veteran from Berwyn, Illinois, received the Legion of Honor medal—the highest distinction awarded by France. This honor was given to him for his service in Omaha Beach and across northern France. John Chrenka enlisted in the army in 1942 and served until the war ended in 1945. He accepted his medal from French Consul General, Vincent Floreani at the First Division Museum at Cantigny Park in Wheaton. During the ceremony First Division Museum’s Andrew Woods performed a song that Chrenka wrote as a young soldier in England. As Andrew sang, Chrenka remembered every single word of his song and, in a soft voice, began to sing along. This is the latest honor for the already decorated Sergeant Chrenka who also has a Bronze Star and fought in the Battle of the Bulge. According to the National Summer Learning Association, every summer, low-income youth lose two to three months in reading while their higher-income peers make slight gains. Most youth lose about two months of math skills in the summer. This phenomenon contributes to gaps in achievement throughout the child’s life effecting future employment, and college and career success. To help reverse this discouraging trend in Chicago, Chicago Public Library (CPL), launched a 10-week summer learning program, Rahm’s Readers Summer Learning Challenge. This initiative provides opportunities for youth throughout Chicago to grow and learn while out of schools, including STEAM (Science, Technology, Engineering, Art and Math) programs developed in partnership with the Museum of Science and Industry. Youth who enrolled in the Summer Learning Challenge–particularly the youngest and most engaged—showed 15 percent greater reading gains, and 20 percent greater math gains over and above their peers, according to a study done by Chapin Hall, a research institute at the University of Chicago. CPL also hosted 20 Community Days in branch libraries where Bernie’s Book Bank distributed books to children who signed up for the Summer Learning Challenge. 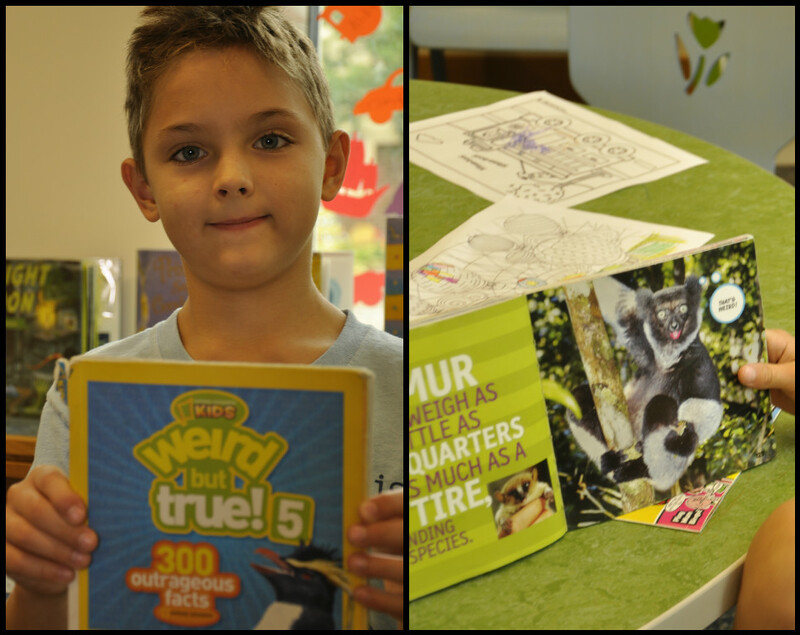 These events featured opportunities for the children to read, share and swap books as well as participate in a wide variety of activities. These events were open to families in the community as well as children who participated in the Summer Learning Challenge at neighboring community organizations including parks, day camps and preschools. 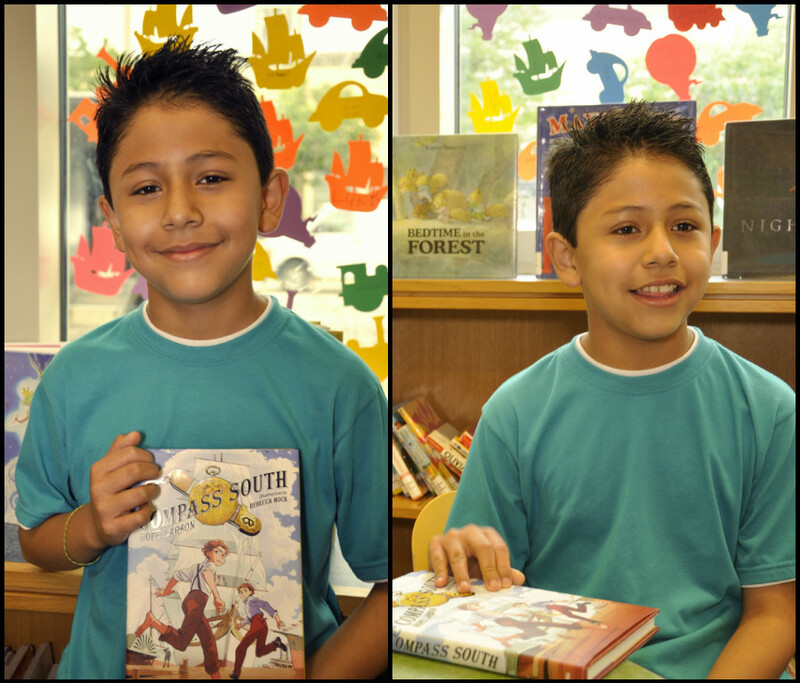 Chicago Public Library serves youth and families citywide located in 80 neighborhoods. 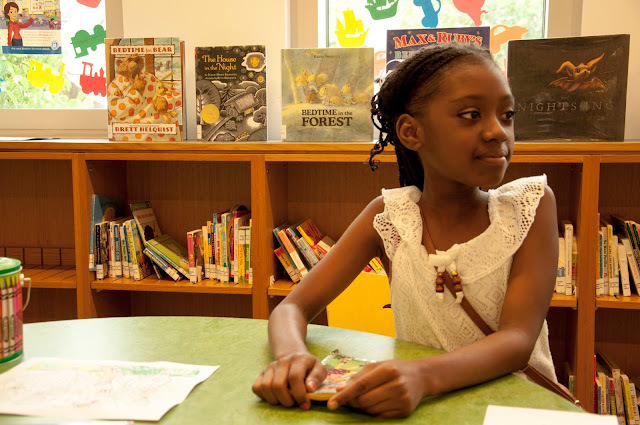 With the support from the City of Chicago, local organizations, community partners and private donations to the Chicago Library Foundation, CPL has been able to grow the summer learning program exponentially over the last four years. Rahm’s Readers Summer Learning Challenge’s participation has doubled in the city, and in 2015 CPL served more than 99,400 children across Chicagoland. 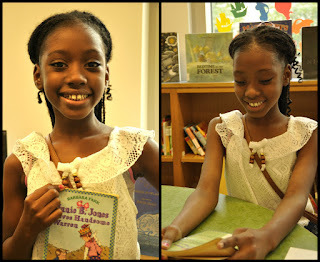 Participants can sign up at their local library branch or find additional information at chipublib.org/summer. The Chicago Public Library Foundation is supported through Cubs Care and Chicago Tribune Charities, funds of the McCormick Foundation. McCormick: What is your favorite book? McCormick: Why is it your favorite book? Genevieve: It is my favorite because I find it very enjoyable and humorous, which the author, Kate DeCamillo, is clearly good at. McCormick: What is your favorite part of the entire book? 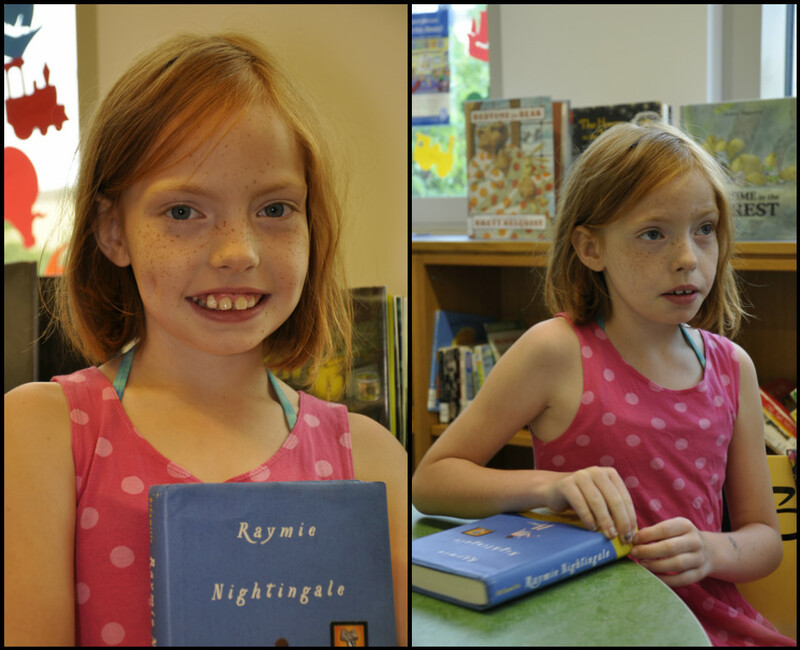 Genevieve: I really like it at the end when Louisiana falls into the pond and then Raymie Nightingale rescues her. McCormick: Who is your favorite character and why? Genevieve: I usually like the main characters, but to be honest I really like the cat. He's this cat that Louisiana gave to the pet shelter, where they said he got killed. It was not a "very friendly" shelter, but then at the end of the book he returns. It is really unexpected! He reminds me of my friend's cat that died two months ago; he was a nice cat. McCormick: Who would you recommend it to? Genevieve: I would just recommend it to everyone. Though I assume people who have trouble fitting in would like it most becuase that's sort of what Raymie struggles with and Louisiana too. William: It's a good story because at the end it has a happy ending. The twins have to go through hard times to then meet their dad at the end of the book. It's like an adventure to find their father. William: My favorite part is at the end because the twins find their dad. William: My favorite character is Cleopatra, the girl. Because she is more defensive. When her brother gets in trouble a lot, she is the innocent one, but she defends him. William: I would recommend it to my best friend because he likes graphic novels. Aniyla: I like her style and that she talks about her friends and that it it about her real life. It reminds me of me. When I was in kindergarten I used to dress up like her. Aniyla: When she and her friends start arguing about liking the same boy, Handsome Warren. They both like him. Aniyla: Junie B. Jones. I like her style and sometimes my mom will go and try to find her clothes for me to wear. My sister and I will dress up sometimes and my mom will record us when we act like characters in a movie. 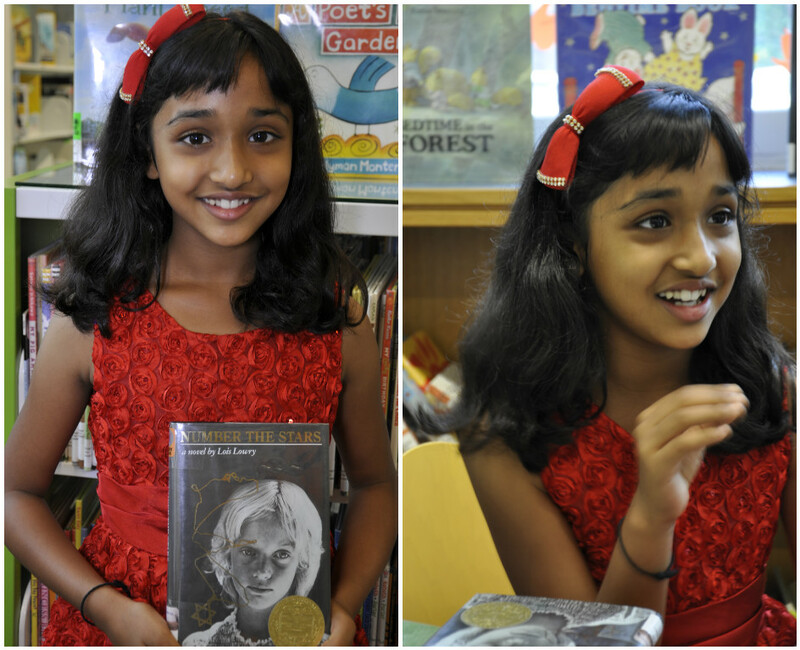 Aniyla: I would just recommend it to my dad because he always asks me "Why are you dressing up?" and I tell him "because I like to dress up". 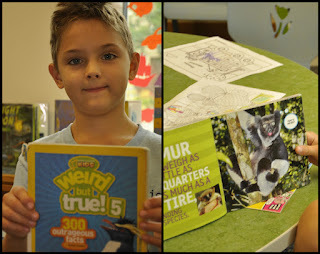 Edwin: It has really cool facts in it like 'A lemur can weigh as little as five quarters or as much as a car tire, depending on the species'. Edwin: Younger kids and maybe grown-ups because it gives them more information like "Some tarantulas are blue". Ria: A Nazi soldier sees a man riding a horse, so he asks a little boy who the man riding the horse is. The little boy says, 'the king.' The soldier then asks the boy where the king's bodyguards are and the little boy says, the whole of Denmark; anyone would die for him. I like this because people nowadays won't die for anyone. Ria: Annemarie and her little sister, Kristen. She's very funny. One part in the book when Kristen and her friend, Ellen, were running back from school a Nazi soldier stopped them and asked them why they were running. He stopped them and tried to tough her [Kristen's] hair, but Kristie was very stubborn those days and she pushed back. I like her because she is strong and funny. Ria: I would recommend it to my best friend, Annika. She is also very funny like Kristen. It takes place in World War II and I like it because it is very interesting and full of history.